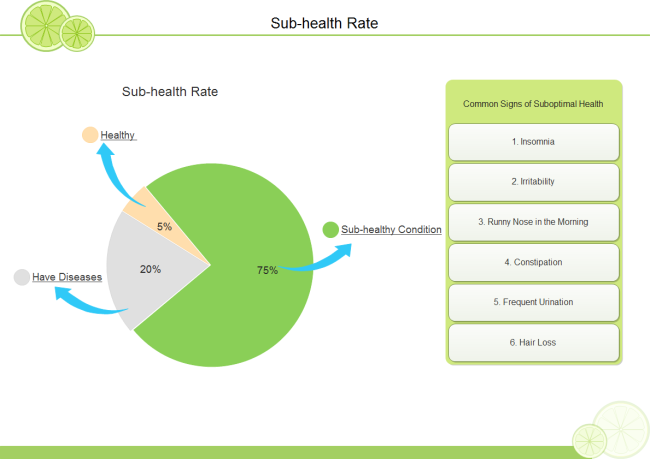 Description: This pie chart shows that 75% of people around the world are sub-healthy. This sub-health rate is an alarming statistics. We must attach great attention to health.